Need a Will or Trust? Which one is better for me? Is my Will or Trust up to date? What is “probate” and when is it needed? What if I become incapacitated and can no longer take care of myself and my affairs? Have something more than a routine residential house sale or purchase or has a more complicated issue come up? Do you own a piece of property in “Joint-Ownership” with other persons and they have now passed away? Have you received an Oil & Gas Lease or Division Order from an oil company? What are “mineral interests” and “royalties”? How much do I own and what does all that “NE/4 SE/4 Sec. 2 T12N R6W.I.M., .0001275 R.I., and mineral acres” mean? Have you been thinking about forming a “Company” for your business? Corporation, Partnership or LLC? What are the differences and which one is better for your circumstances? Can it limit your personal liability? Do you really need a formalized business entity? 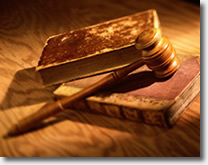 Firm has associations with other local attorneys in Workers Compensation & Social Security Disability Law. B. Christopher Henthorn PLLC can help. To schedule a consultation, call us at 405-350-1297. * As we pride ourselves on personalized service actual Client Appointments Set By Telephone Call Only. Our site is mobile friendly so please, scan the QR code and bookmark us on your phone.